From the owners of local businesses the Good Hippie and Fail comes a new shop and coworking space for makers located on East Cesar Chavez Street. Bri Ussery, owner and maker of the Good Hippie skincare line, and Christine Fail, owner and designer behind Fail jewelry, have teamed up to bring their flagship stores together under one roof. 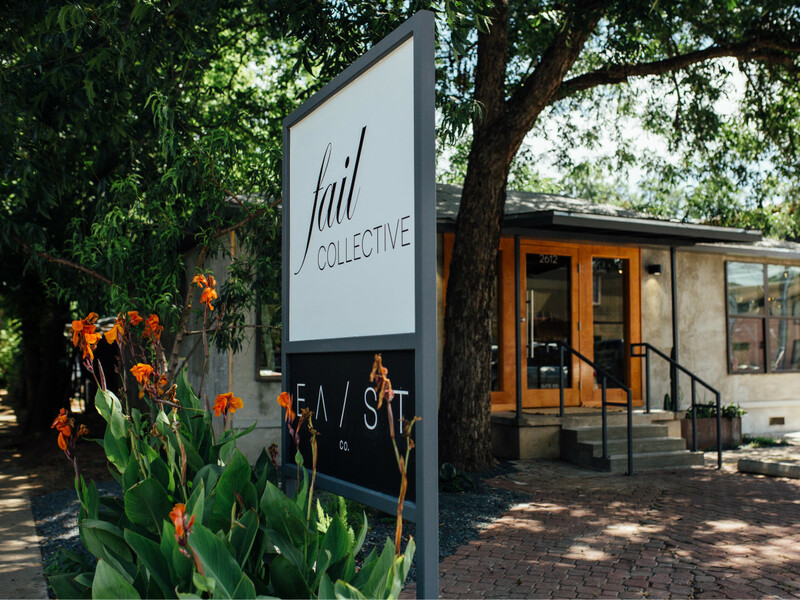 EA / ST co. and Fail Collective act as a carefully curated boutique and coworking space showcasing accessories, clothing, and artisan goods from select Austin and Texas artists, as well as an assortment of products from brands across the country. Ussery and Fail were motivated to open the boutique as a way to grow their individual brands while also providing a space to support established home-based designers and makers who wish to work outside their home, interact with customers in a business setting, and build professional relationships. Each artist in the showroom is chosen for their commitment to quality handmade products with beautiful aesthetics, sustainable business practices, and a commitment to community. Shoppers can find items from national brands like Baggu, as well as local brands Zoe Comings, Foxwares ceramics, and Leah Duncan. “When I partnered with Christine, I realized my vision to showcase a beautifully curated assortment of products from quality makers creating a marketplace that best represents the modern designer and maker movement based on responsible, transparent practices,” says Ussery. EA / ST co. and Fail Collective soft opened in June. They are officially celebrating with a grand opening party on Tuesday, July 25. The store is located at 2612 E. Cesar Chavez St., Ste. 100.